Heaven has gained a new angel. Manuel (aka Charro) went peacefully to be with our Lord and his mother and nephews on March 16, 2019. Survived by his siblings, Peter Gallardo, Maria Gallardo and Rosemary Santamaria; nieces, Roxanne Gallardo, Cassandra Gallardo, Gabriella Santamaria, Dawn Vanalstine and Krystal Santamaria; nephews, Peter Gallardo, Jr and Santino Gallardo. Charro had a good heart no matter what life threw at him. He always made it through, never let anything get him down. He was a strong man. He loved to draw and tattoo and he loved his family. 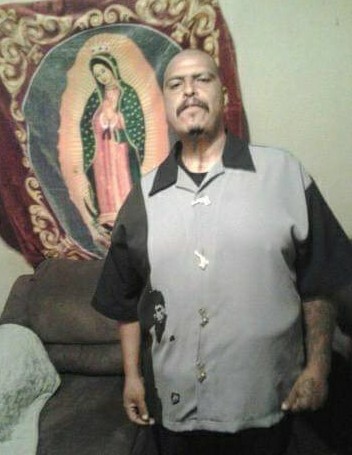 Tio Charro, you will be missed and always in our heart. Services will be held at Blessed Kateri Church, 507 W 29th St., Tucson, AZ 85713 at 8:00am-2:00pm on April 8, 2019.